We offer customers shipping, clearing and forwarding services from chennai. Our team of experienced industry professionals assist us in successfully handling both import and export needs of different businesses as per their specific requirements. We are providing brilliant Custom Clearance Services, we have been able to establish ourselves as a prominent leader in the industry. We are recognized for our specialization, efficiency and commitment to quality. Our wide assortment of offered services includes Transport Logistics Services, Import Export Services, Sea Import, Sea Export, Air Import and Air Export, apart from providing Custom Clearance and door-to-door Logistics solutions. Our team of licensed brokers has in-depth market exposure and experience and is able to provide specialized solutions based on the exact needs of our customers. Our satisfied and loyal domestic customer base is spread all across the nation. Additionally, we have been providing round the world services of sea port to various destinations which primarily include Europe, USA, Canada Far-East, Chinese, Australian and African Base ports. 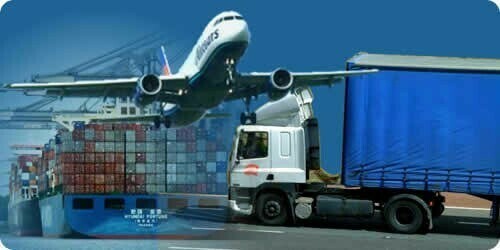 We offer transport logistics services, import export services, warehousing services, custom clearance, total freight solutions, logistics solutions, air exports, air import, sea imports, sea exports and import export documentation services.